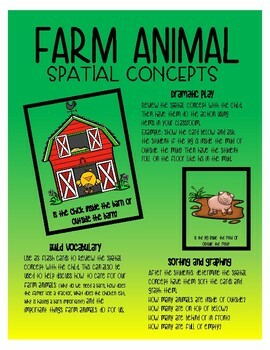 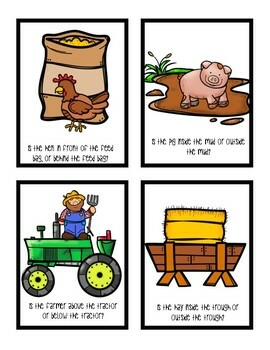 FARM ANIMAL spatial concepts cards for teaching students concepts such as above, below, inside, outside, in front of, behind, on, off, full and empty. 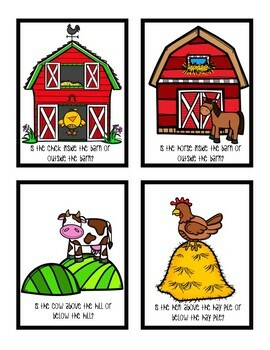 There are 20 farm animals cards. 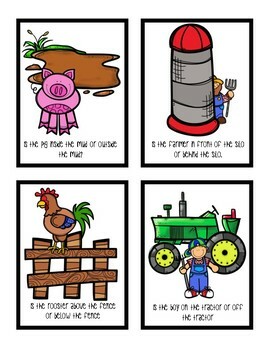 (5 PDF pages for easy printing) along with teaching ideas of ways to use these.